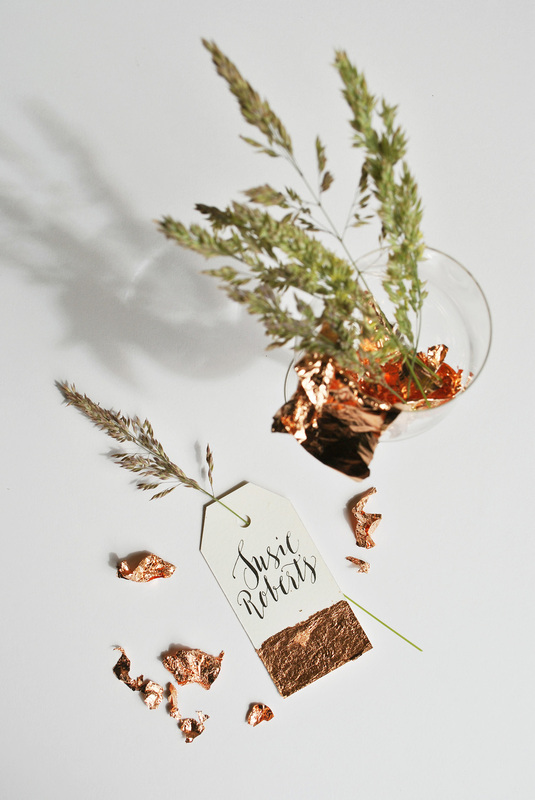 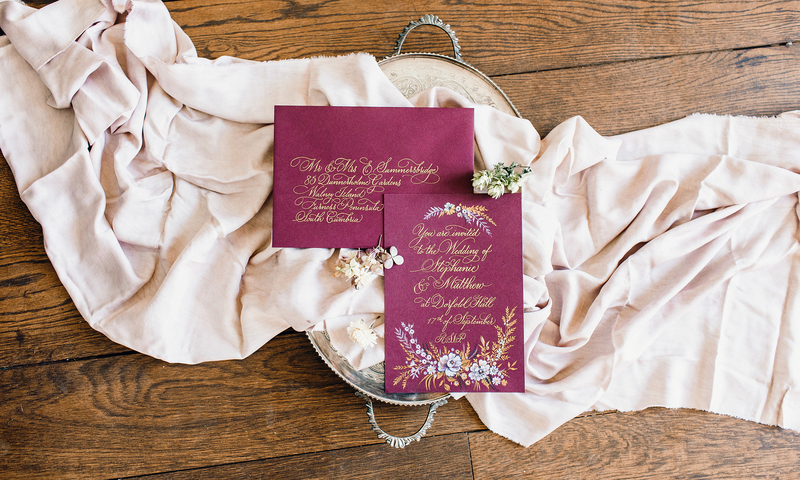 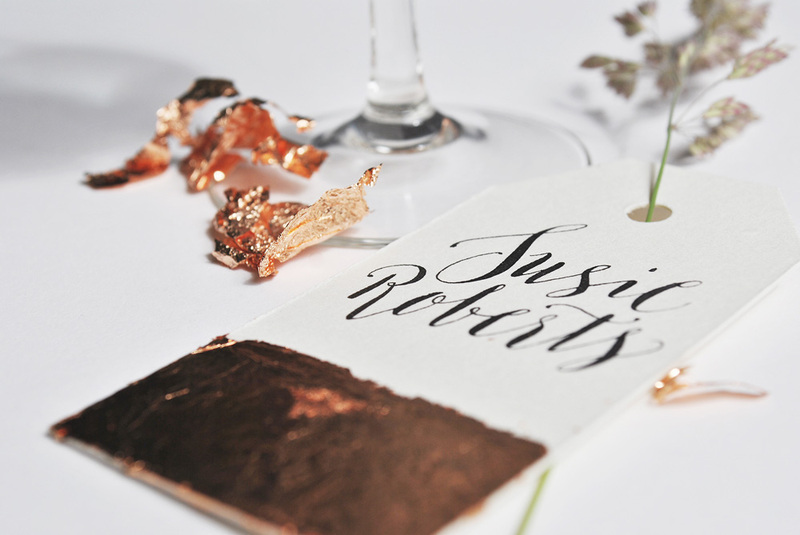 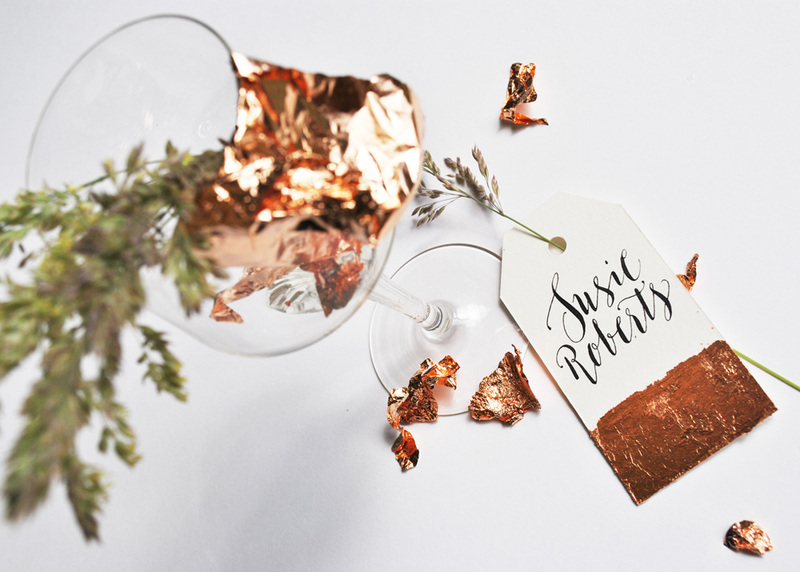 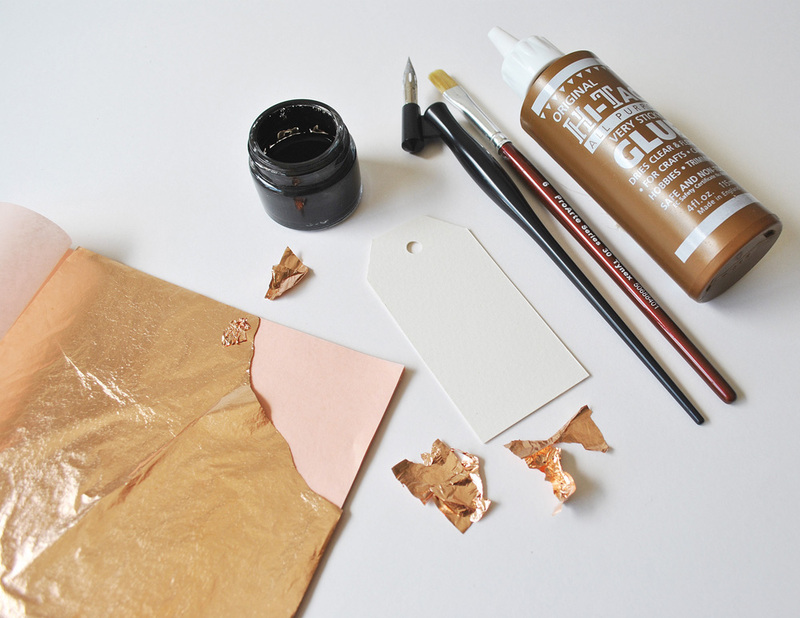 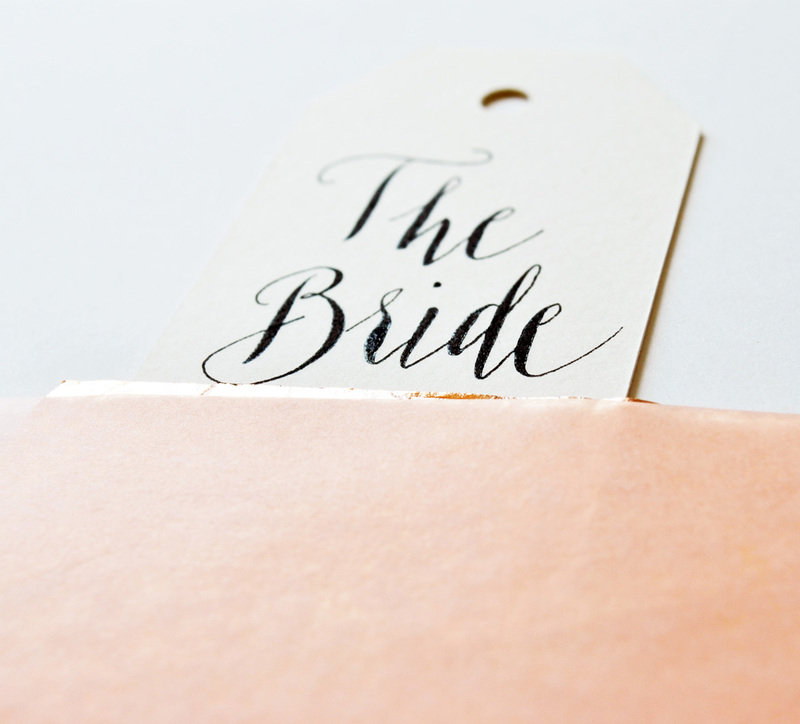 Calligraphy project – make your own copper “dipped” place settings! 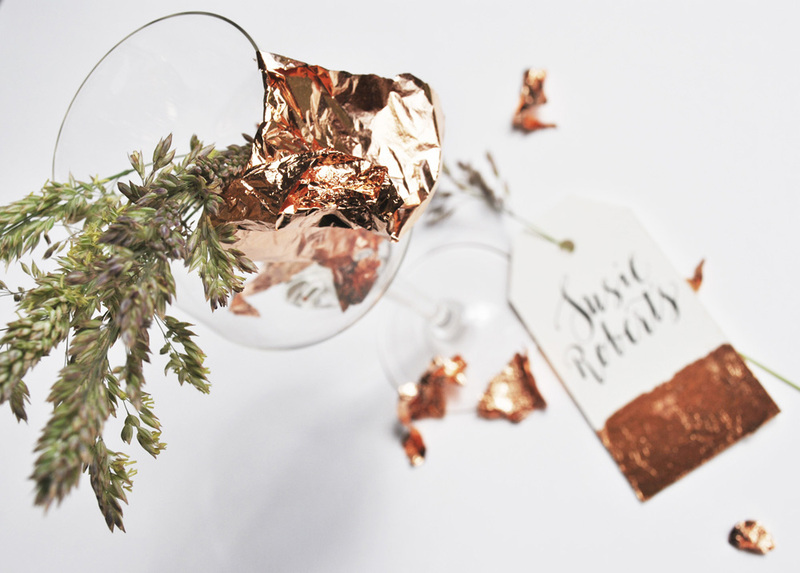 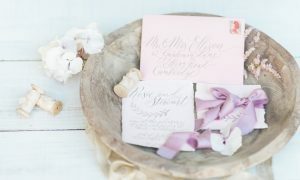 This is a quick and simple project perfect for a dinner party or intimate wedding. 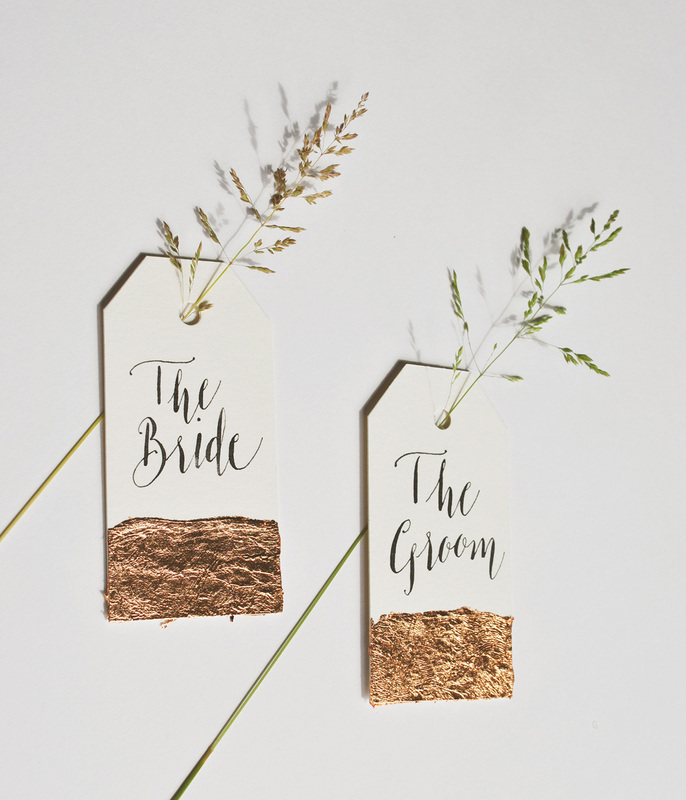 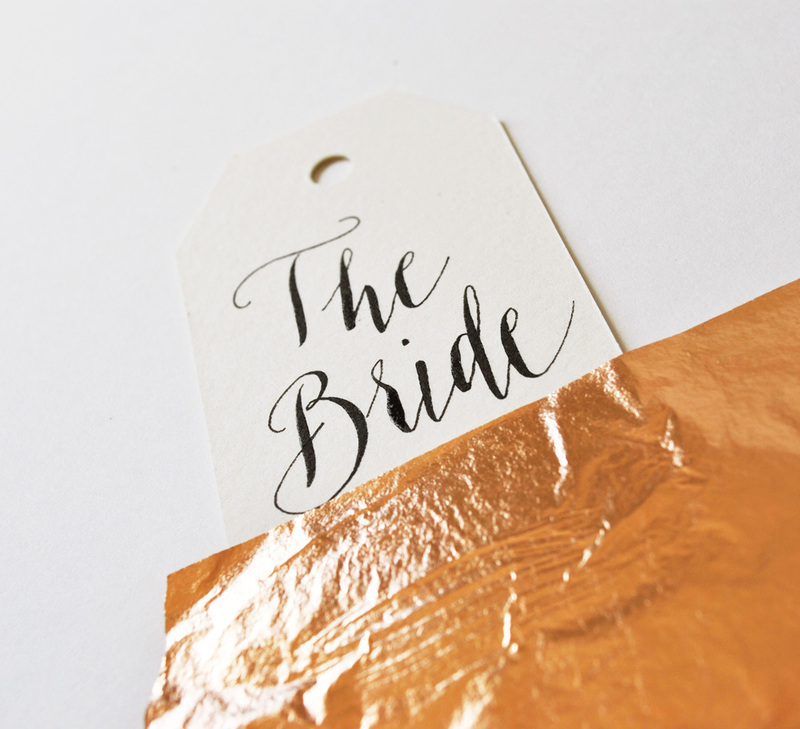 Sticking the copper leaf takes a little time but it’s so worth it when you see those shiny tags twinkling in candlelight! 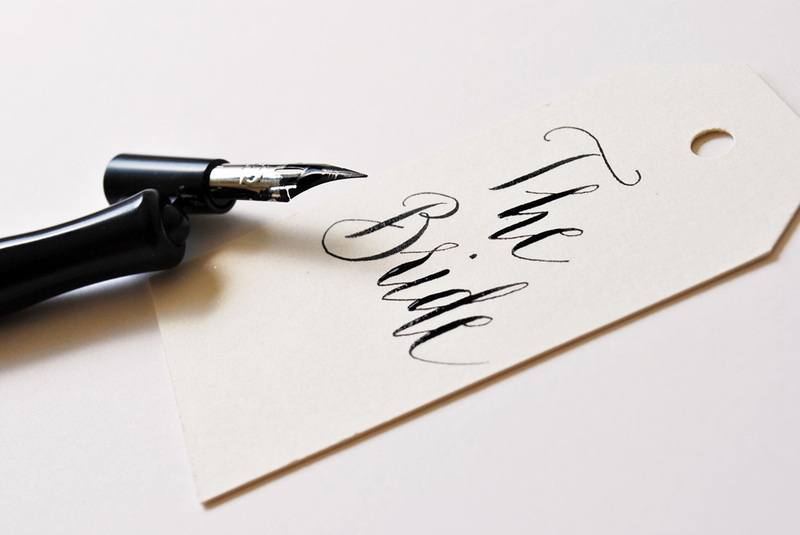 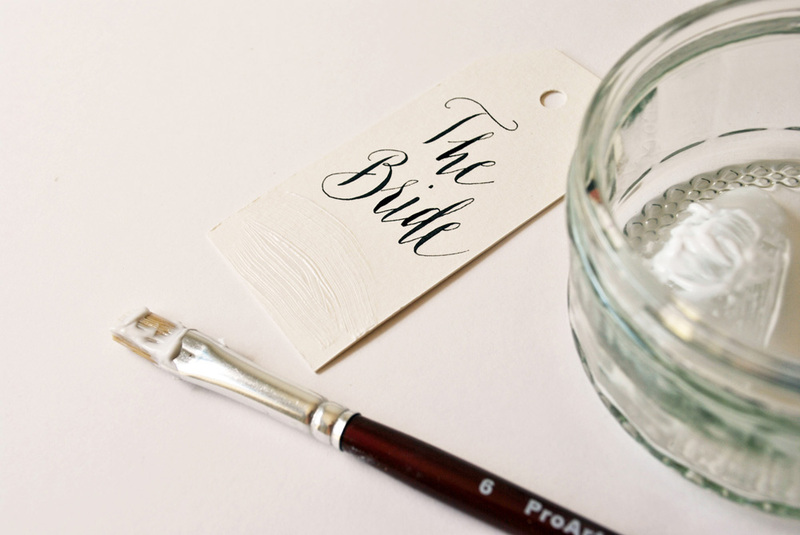 Calligraphy starter kits are available in my Etsy store: https://www.etsy.com/uk/listing/184860082/ and include dip pens and nibs, practice notebook and alphabet templates to get you started!